In the Purpose Driven Life, Rick Warren provided a section on fellowship and noted that food is not fellowship. I recall when I first read that years ago, I thought it made sense. Since that time, I’ve come to appreciate the value of gathering around our most basic need and see it as symbolic of something so much more. So when I came across this quote in a book I’m reading for one my classes, it really resonated with my thoughts on feasting. Moreover, how incredibly fitting to come across this on Thanksgiving eve. God gave us food, the most basic material need of life. That means it’s a blessing. To call it a blessing is to claim that it is a means for knowing God. This is why we teach our children to bow their heads and say a prayer of thanks before the family eats. In those little prayers before the meal, we are reminding ourselves that even eating is a means of having communion with God. We do that because our real hunger is for the giver of the blessed food, and we can know this God even in the most ordinary material act of sitting down to a dish of overcooked lasagna. Yes, isn’t it amazing how communal food can be? Not only that, but there’s something about feasting on our most basic of needs that points to the supplier of those needs. It’s why I believe beautiful tasting food evokes worship (or should). 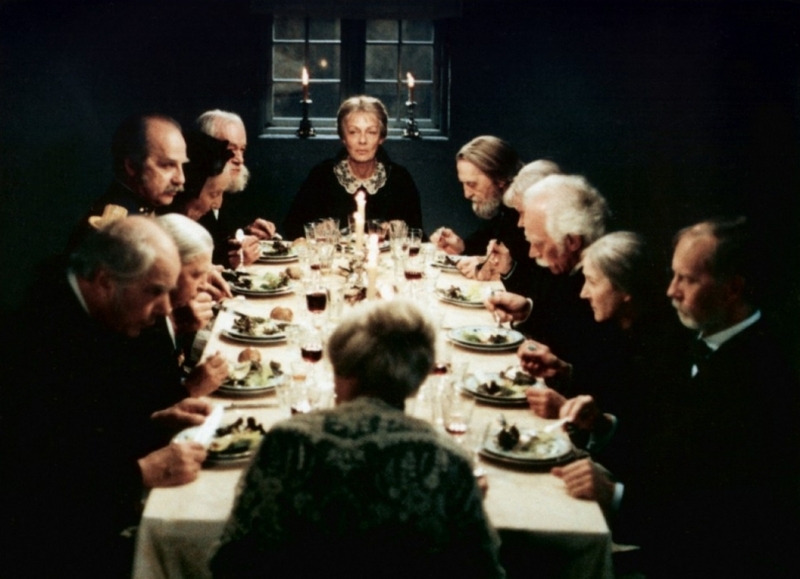 The movie Babette’s Feast provides a poignant story of the power of food to bring people together and the sacrifice of one who caused it to happen. A great reminder of the communion that Christ’s church receives because of his sacrifice. This also should raise our sensitivity to those who struggle with having food or lack opportunities to gather around the table with others. If you are fortunate enough to have that on Thanksgiving, enjoy your feast and let it serve as a reminder of our greatest hunger and need for Christ.